Ok, I’m going to try and be positive about the Angels. Let’s see…..they are only 12 games back of first place Texas in the AL West? Ok let’s try again. They are only 9 games back in the wild card race? Shoot! This is much tougher than I thought. I’ve got it! Their ERA isn’t quite the worst in baseball, because Toronto and Houston are worse. I knew I could do it. Can I go back to be being honest now? 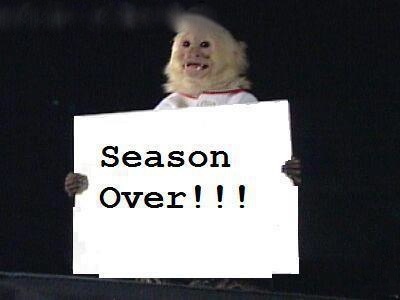 Because the Halos are quickly flushing this season down the toilet. One quarter of the way through the season, the team is on pace to lose 103 games, and keep in mind, the franchise record is 95. $127 million clearly doesn’t buy what it used to, because the Angels have no starting pitching, and they have nearly half a billion committed to three players whose best playing days are behind them. Even Arte Moreno acknowledged this week that Mike Scioscia isn’t responsible for this mess. It isn’t his fault that none of his starters can give him 6 innings. It isn’t his fault that his best pitcher, starting shortstop, first baseman, and his starting center fielder are all hurt. It also isn’t his fault that Josh Hamilton keeps coming down with these mysterious illnesses, and seems to be emotionally unreliable for this ball club. Arte has spent enough money to feed several small African countries, but in all the wrong places. He’s taken one of the best managers in baseball, and made him useless by building a team that is incapable of executing the fundamentals of the game, which is essential for Scioscia’s success. The Halos have always been successful when focusing on pitching and defense, and manufacturing runs, yet they are now inept in all those areas. The good news is that the Angels have two great cornerstones in Mike Trout and Mark Trumbo that they can build their team around for the next 5 years. The bad news is that the contracts of Albert Pujols, Josh Hamilton, and CJ Wilson won’t allow them to build much else around them during that time. Those 3 players need to produce now, because we all know they won’t during the back end of those dumb contracts. In the meantime, the Halos better build start building that farm system back up because it’s currently considered the worst in baseball. 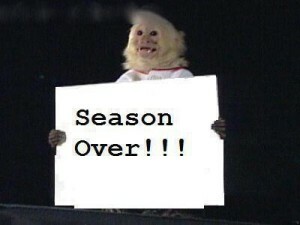 At least the season is almost over (I told you I could be positive!). This entry was posted in Angels on May 18, 2013 by omzzzzz.